Imagine that you are looking at a balloon rising slowly into the bright blue sky. As you focus your eyes on it, it pops, and slowly you start to feel your feet rising off the ground. Your toes tip up, if only by an inch. Amazed by this recent discovery, your gaze rests on another balloon, and again you start to lift towards the clouds. 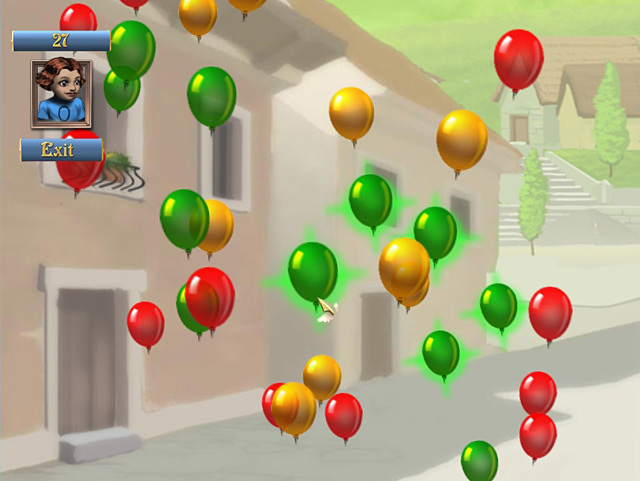 Suddenly you are flying and discovering the scintillating joy of Balloon Bliss. 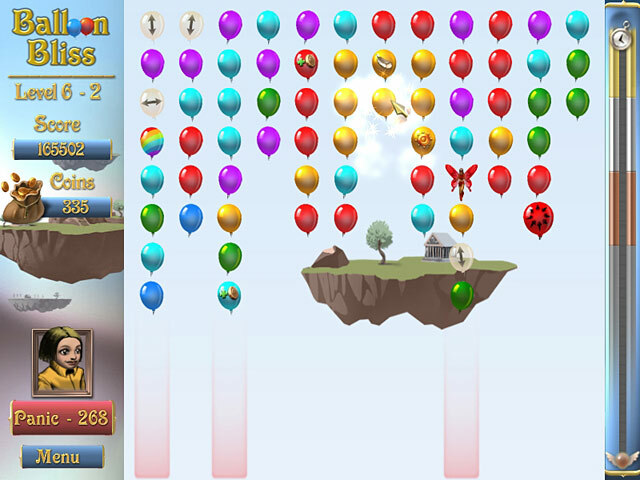 Curl your fingers around the strings of these bright balloons--feel as if you're actually flying in this gravity-defying Match 3 puzzler. 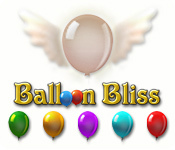 Balloon Bliss is rated 3.7 out of 5 by 3. Rated 5 out of 5 by iansmomm from Fast Popping Action! Love it! The story line seems a little thin, but popping the balloons in each section is actually really tough, and I'm a master popper! It's a lot like Poppit, except the balloons keep floating up as you pop. You have to be fast and think quickly! I found myself going back to try and master each level (bronze, silver, gold). I only had enough time to buy 2 power ups, and thank goodness for those! Each level is much tougher than the last. I wish it had a pause button. I didn't have the sound on, because sound usually distracts me from the game. I'll turn it off it it's just music, especially when I'm reviewing games. The graphics are great. It starts with 3 colors of balloons, then adds more as it goes along. It's great exercise for my ADHD (even at 45), it sure keeps your brain moving and thinking! Love it! Definitely going to be my next purchase! Rated 4 out of 5 by m23i45 from good match three i was pleased with balloon bliss you have to keep you wits about you. Rated 2 out of 5 by bessiegirl from Don't understand the good reviews Wow, I found this game to be very boring and repetitive. Was not sure how the scoring worked as I kept getting "perfect" scores, and for what? Popping a bunch of balloons with a timer and doing nothing else was a bit mindless for me. Sure do wish BF would come up with some new match 3 games. Its getting a bit dry out there. Be the child with wings as you fly and drift like a balloon. 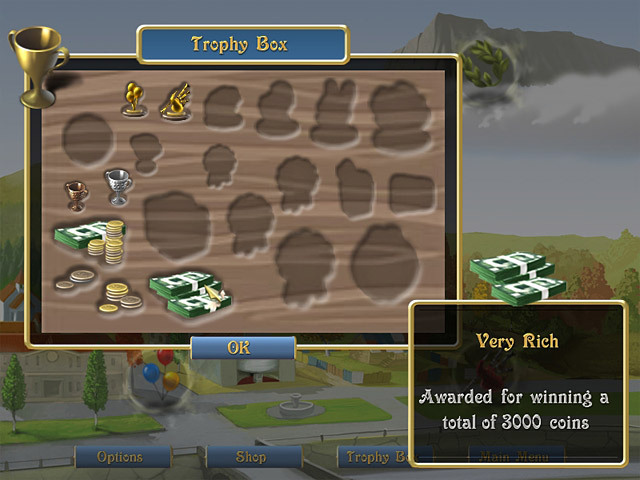 Who knew a Match 3 puzzle game could be so heavenly?